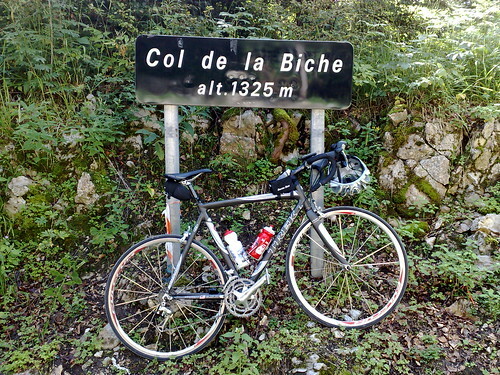 Col de la Biche and Col du Grand Colombier are two of the hardest unknown climbs in France. In the Jura mountains, they are both "roads to nowhere" meaning virtually no traffic (I saw 5 cars in over 3 hours on the climbs). 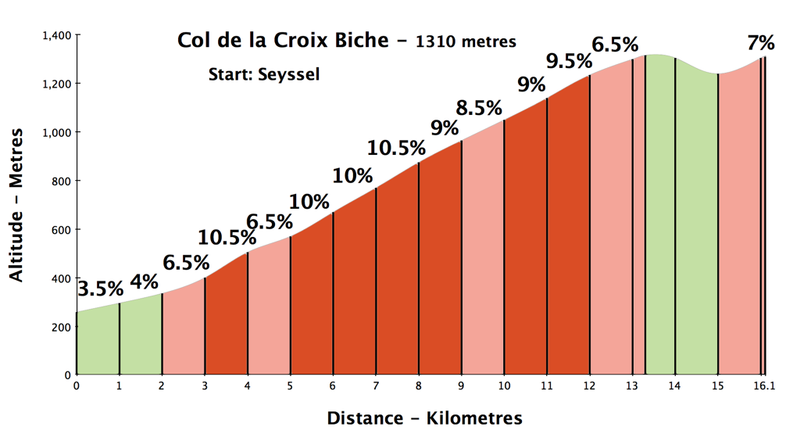 Now that the tour d’Enfer is over, I figured I should do some big local climbs while I am relatively fit. Col de la Biche and Col du Grand Colombier are two of the hardest lessor known climbs in France. In the Jura mountains, they are both “roads to nowhere” meaning virtually no traffic (I saw 5 cars in over 3 hours on the climbs). I started in Seyssel and started with Biche (it means “female deer”). 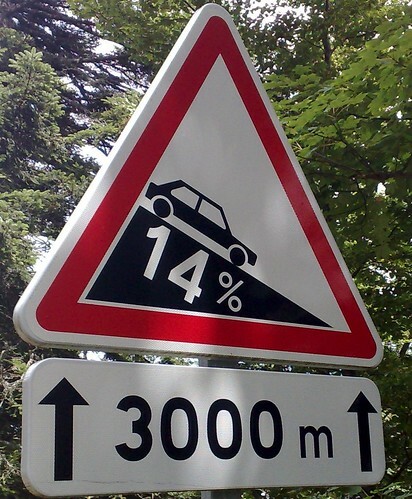 It’s exceedingly steep with four kms averaging over 10% and three more above 9%. It starts out monotonous enough but the views of the Rhone and the alps improve every hairpin. At the top I had to dodge some cows. 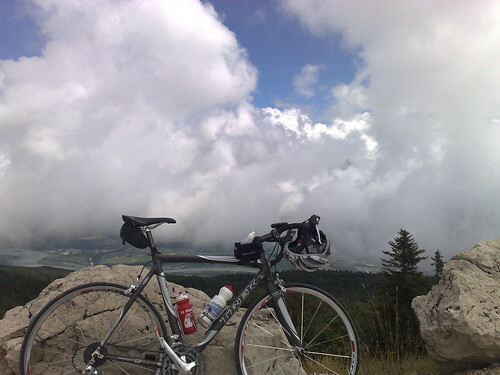 I descended the other side and joined the road to Col du Grand Colombier near Lochieu. Colombier is a monster with four great ways up. I actually joined the easiest of the four part way along the climb. For details on the truly steep and crazy hardest way click here. Easy is relative, and there was still lots of work to do. All in all a 2,000 metre day of climbing and I felt pretty good. Nothing like deserted, steep climbs! Colombe means Dove. 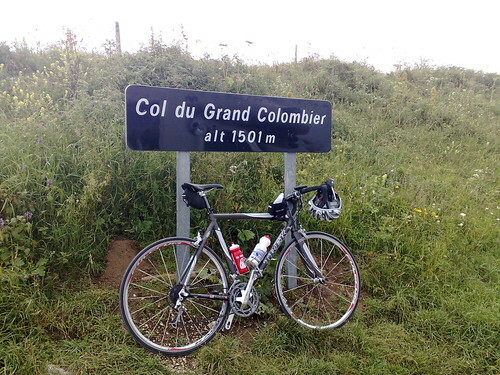 Don’t confuse Grand Colombier with it’s more famous and nearby Alps cousin: Col de la Colombiere. You are a monster now! I bet you’ve lost even more weight after Tour d’Enfer. Now, you’re just cruising up the 10% grade. It must feel great. Bast, I agree! It’s amazing how few cyclists are usually on these incredible climbs.